Whether you want to elevate the look of your house, the entrance of your facility or the balcony of your apartment, grass mats are perfectly capable of beautifying an environment. Give a pleasant vibe to your visitors by creating an inviting impression in their mind with these beautiful mats. Kapoor Oil Mills is noteworthy among the prominent Grass Mats Manufacturers In India. Our mats are highly durable and are made from grade raw material. The great thing about these mats is regardless of the attention you pay in caring for these mats, their appearance stays good throughout the year. Easy To Maintain - These mats are really easy to maintain and people who stay busy in their daily routine will find them suitable to their lifestyle. Lavish Appearance - They have the capability of elevating any environment into a luxurious one. Their greenery gives a touch of lavishness to any facility. Robust - They are not only beautiful but also durable. Install them to keep your premises beautiful throughout the year. Our association is bringing forward Rubber Grass Mat, which are manufactured from superlative quality rubber in several thicknesses, weights, and dimensions. These mats are suitable for big kitchens, societies, corridors, lift, passages of mall & offices and varied other places for permitting water flow and for tapping dust & dirt from shoes, sandals and slippers. Convenient to clean, rugged design and impeccable finish, these Grass Mats are offered to buyers at nominal prices with several easy medium of payments. 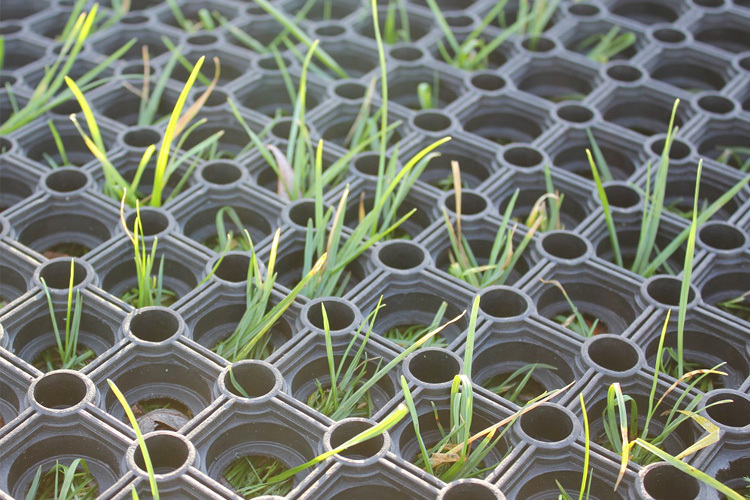 Our Natural Grass Mats are made from high quality natural rubber with an open base & raised knobs on the reverse which allows for drainage of liquid & debris. Ideally suited for heavy traffic areas like kitchens, canteens, bars & walkaways providing a non-slip & hygienic foot safety surface. Our company is one of the most trusted Rubber Grass Mat Exporters and Suppliers In India. Contact us to place an order.